Here’s the scene from one of the overlooks at Canyon De Chelly in Arizona. Just out of frame on the right is one of the many ruins you will find and can take a guided hike to. 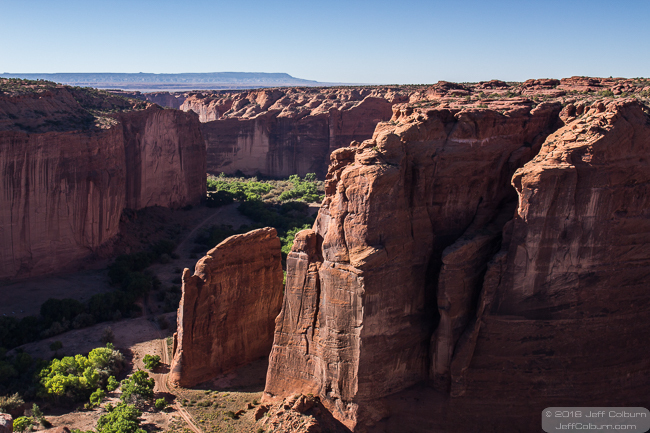 If you go to Canyon De Chelly, you will be surprised at just how big everything is.